mashupper / radio guy / funnyman. go to the Music page here. 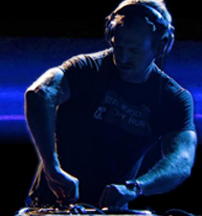 For long mixes go to that page here. This web site is old and unwieldy, but I'm too lazy and confused to change it. I'm sorry. 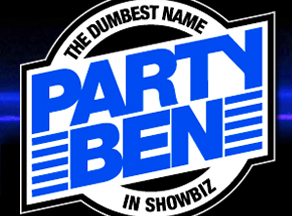 If you're having trouble finding something, feel free to e-mail me at partyben@yahoo.com, or have a go through this site's archives which I've sorted by year. Or, over there. Party Ben Information systems may have been on a company-wide massage break (for management) or "Learn to Be a Masseuse" seminar (for staff) this morning when news broke about our Lyrics Born remix, but we put our clothes back on and rushed back to the office to get it posted. To summarize: we've got a longstanding relationship with toweringly great Bay Area artist Lyrics Born; back in 2003 I read a review of his album Later That Day in the Bay Guardian, went and bought it at Aquarius, and brought it back to LIVE 105 (where I proceeded to spend a couple hours editing out all the "shits"). After a few spins on Subsonic and the Sixx Mixx, it got picked up for regular rotation where it went all the way to #1 in 2004, causing some hang-wringing in Bay Area newsweeklies about why it took a rock station to actually support a local rap artist, although they did get the story about how it all came about a bit wrong (apparently they didn't hack my phone). Eventually I got an acapella and started mixing the track with various other songs, and the one that seemed to work the best was U2's "Sunday Bloody Sunday." "Callin' On Sunday" went on to be one of my more popular combos, as well. Most amazingly, Lyrics Born and his various labels and stuff have been immensely supportive and appreciative, and especially back in 2003 mashups were a bit scary so it's to their great credit. 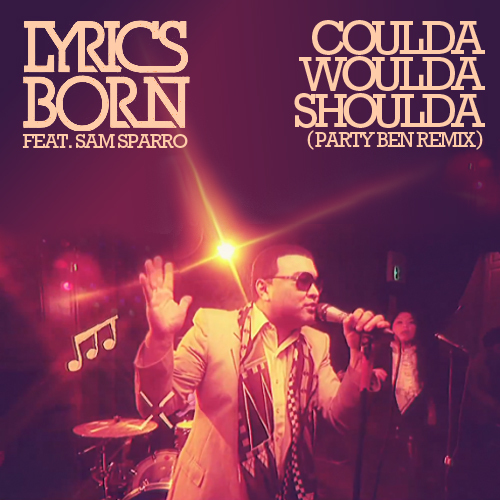 Anyhoo, it took a recent video release (a few months after the song actually came out) for me to stumble across Lyrics Born's latest jam, a track with Aussie Sam Sparro called "Coulda Woulda Shoulda." They indulged my request for an acapella, I plugged it into my Remixomizer 3000 and look what came out! Inspirations here were, obviously, first and foremost A-Trak's mix of the Yeah Yeah Yeahs "Heads Will Roll," as well as Martin Solveig's "Ready to Go" for the dubstep breakdown, and as Aaron pointed out, even a little LMFAO for the big cheesy chords in the chorus. Either way, it's, you know, poppy. This is the full-length version, but we know you're busy so if you need a shorter edit, we've got that too: go over to Lyrics Born's web site to get it. Big big thanks to Justin and everybody at DECON as well as, of course, Mr. Born himself, whose unfailingly positive Twitter feed may be the polar opposite of my all-complaints-all-the-time tweets, but that's why I love him. Coming soon: a 2011 Summer Remix Fun Pack, plus a gig at Slide tonight, as well as a shindig for Thrillist in LA this Saturday. Follow me on Facebook to keep up with events and whatnot.